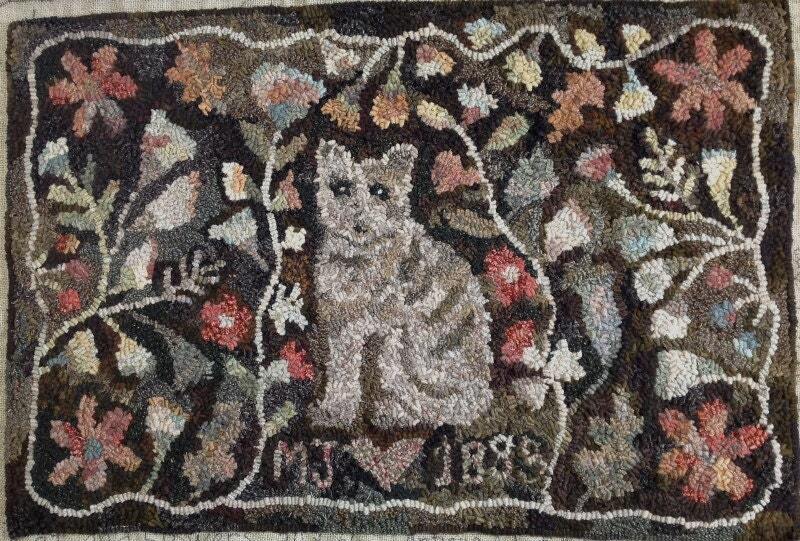 This listing is for the rug hooking PATTERN "Cat and Flowers". 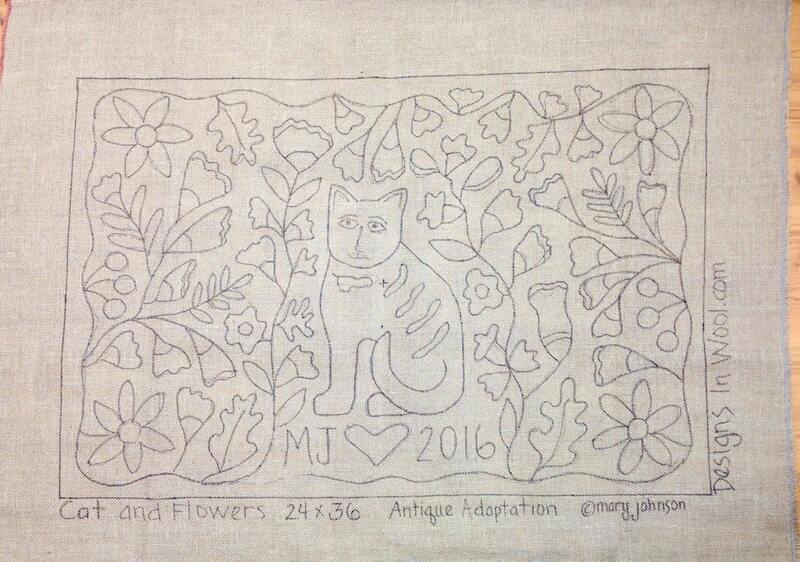 My design is an adaptation of an antique rug I found doing research on line. That old rug is featured in the third photo. I hooked this rug with an 8-1/2 cut and hooked "higglety-pigglety style, meaning loops are not the same height, twisting and turning each loop and not hooking in rows. It gives an old primitive look. I used all my grungiest, dirtiest, dull colors, using only grayed whites or tan textures for the flowers and vines, dusty reds and pinks, blues and greens for flowers and leaves, always using textures. The cat was hooked with a mix of gray textures. The background is a mix of many different browns, blacks and khaki textures. It's a great design to use up some of your stash. This listing DOES NOT include the hooked rugs shown in the photos. I leave 4" borders on each side to fit over your rug frame or hoop. Great care has been taken to draw all straight lines on the grain line so that your rug will finish square. The outside raw edges of the foundation fabric have been serged to prevent raveling. 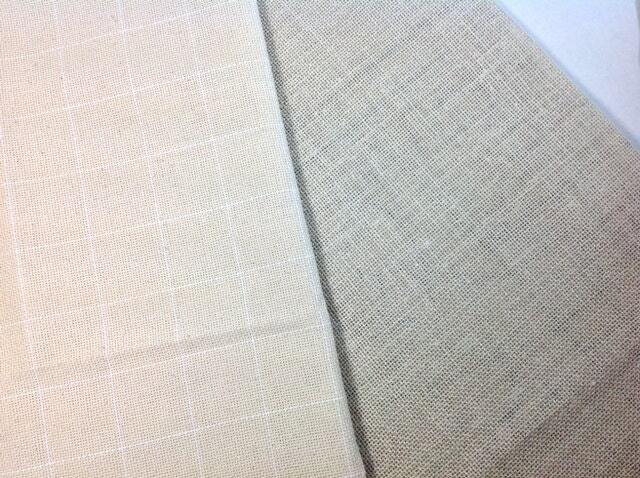 ** See FAQ for differences between monks cloth and primitive linen. Have loved this pattern for so long! Thank you! Great pattern and fast shipper. Thanks. Wonderful little pattern. Will hook it for a very good friend!